Schuh’s Services® We Clean It Up® understand the complexities associated with hardwood floor Refinishing and cleaning and we also understand why it’s important to properly seal and maintain hardwood floors correctly, hardwood floors can be a challenging task that extends beyond the capabilities of just vacuuming, mop or broom. This only simply move the dirt around, and fall short of extracting unseen, ground-in dirt. You can rely on Schuh’s Services® We Clean It Up® to extract the dirt and grim from deep within the cracks and crevices of your hardwood floor and help restore the shine to your investments. We help improved air quality by removing the unseen dirt from deep within your hardwood floors. Deep Cleaning is done with a piece of equipment that is designed for hardwood cleaning that has a revolutionary cleaning process that uses a high-speed rotary brush and proprietary cleaning solution to reach and remove the tough dirt and contaminants. As our equipment cleans your hardwood floor, squeegees trap the dirt, and a powerful vacuum extracts both the dirt and the excess cleaning solution. 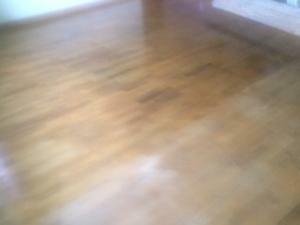 Than we apply a special sealer to restore the shine to your floors. When Schuh’s Services® We Clean It Up® is cleaning your hardwood floors, our techs follow up with a detailed hand cleaning for those hard-to-reach areas. Then we restore your floor with a professional grade wood cleaner that is a neutral PH, , which effectively captures any remaining dirt and residue. The process is low-odor, non-toxic and dust-free—leaving you with a just like new floor. 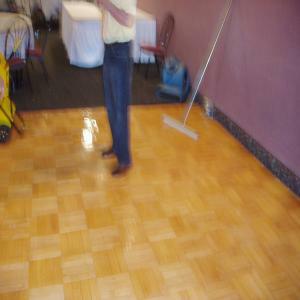 Just cleaning your hardwood floor doesn’t just end within a deep cleaning. We take the hardwood floor cleaning process a step further by offering a maintenance seal coat solution Schuh’s Services® We Clean It Up® apply a fast-drying maintenance coat for a uniform sheen that helps to extend the life of your floor and protects the floor from wear. Our Poly Coat technology is durable solution that dries fast and provides a protective layer to your floor. It creates hard barrier against water and chemical damages, it helps your floor resist everyday scratches and scuffs, and preserves the beauty of your hardwood floor. Help Preserving your investments, Vacuum or sweep floors regularly. Never using wax, oil soap, or other industrial household cleaners. That can damage your floors. Wax and silicone-based products can make you’re from slippery and compromise the integrity of your hardwood surfaces and makes cleaning more difficult. Always remove spills promptly. Place indoor/outdoor mats at entryways and area rugs in high traffic areas, never on the wood floors. Maintain a consistent humidity levels in your home to prevent floors from swelling, shrinking, cracking, or exposing gaps. To avoid deep scratches, remove dirt daily, High heels and pets can damage wood flooring. Avoid dragging furniture across hardwood floors. 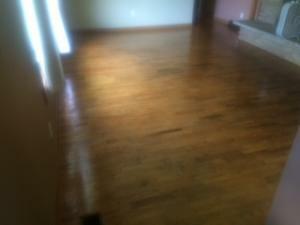 Schuh’s Services® We Clean It Up® recommend that hardwood Floor should be deep cleaned at less every 6-12 months. When it comes to cleaning a hardwood floor, Services® We Clean It Up® can delivers the same expert service you’ve grown accustomed to over the years. You already know us. Cleaning is our business.